Everyone knows that great marketing campaigns include social media amplification. What many people don’t realize is that email marketing is equally important, but often times overlooked or done wrong. If you aren’t using email marketing, you are missing out on some serious lead conversion opportunities. So what makes a good marketing email and why are they so important for converting leads? Here are a few key things you can do to get the most out of your email marketing campaign. 1. Strong Call to Action – You can’t grow an amazing email marketing campaign without first collecting email addresses. Your website needs to have a strong call to action to compel people to subscribe to your email list and give up their precious information. This is the time when you should be telling them exactly what the value is for them to subscribe. If your prospective client feels that your information could benefit them, they will be more willing to commit. This is the time to be very direct. Explain the value and instruct them to exactly what to fill out so they don’t miss out. Giving them clear direction on what they should be doing next eliminates any confusion and puts you in control. 2. Content is Always King – The bottom line is, If you aren’t providing emails that people actually want to read, you might as well stop wasting your time. Of course the main purpose of your email campaign is to convert your leads, but you also need to remember that no one wants to open emails that are nothing but self-promotion. This may sound like common sense, but you’d be surprised at how many people send nothing but promotional content. Your clients want something that benefits them, that they can’t get anywhere else and that is free. One way to do this is to create an email autoresponder series that wraps up with offering them a special deal to get started with your products or services. The first email you send out should be purely educational. The next email should talk about the problems your prospect is facing, followed by an email showing that your company is the solution to the problem. While you are promoting yourself in this email, it should still be customer-focused and not all about you. For your final email, remind them of your offer and give them one more chance to take advantage. Incentives are great for introductory periods and can really help that client who is on the fence, finally make a decision. It is also important to let them know that in addition to the incentive you are offering that they will also receive your newsletter by email. This way you can continue marketing to them even when your initial campaign has ended. You simply aren’t going to convert some leads with the autoresponder series. But if you continue to send valuable content, you’ll stay top of mind so that one day they’ll finally decide you are the solution provider they need. 3. Use Analytics – A good marketing campaign is hard to analyze if you don’t have any stats that show how it’s working. If you aren’t getting immediate success, chances are there is a small piece of the puzzle that needs to be fixed. If you are using Google Analytics, you may be able to discover what what you need to tweak. For example, if you set up a conversion funnel to guide them to filling out your email marketing form, you might discover they’re bouncing off the site on a certain page. Take a look at that page to see what you an tweak to increase the chances they’ll finish the process. Also use the analytics tools within your email service provider account. Services like Aweber, Mail Chimp and Constant Contact show open rates and click through rates. 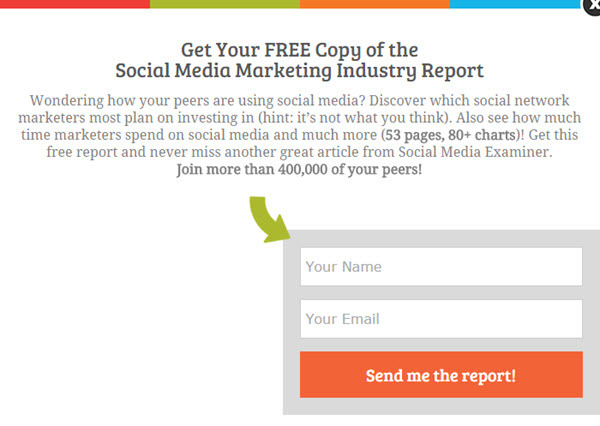 These tools can be helpful in improving your campaigns. Another way to analyze the success of your email newsletters is to test different days and times for sending your emails. By testing a few different times, you can see which ones had higher open rates. Just because you got them to subscribe doesn’t mean they are ready to open and read each one. Playing around with the send times can make a big difference because let’s face it, if they aren’t opening the email, it’s pointless sending it! Another important test using analytics is the A/B test for headlines. A/B headline testing takes two different subject lines for the same article and splits them between readers to see which one gets a better open rate. In this example, two email subject lines were tested. There isn’t a huge difference in this example, but as you can see, the first one received more opens. If you follow the three steps above, you are well on your way to use your email marketing campaign to successfully convert your leads. However, with the above strategies come a few pitfalls you want to avoid. These mistakes, although seemingly small, can make or break your campaign. Sending only promotional content – I know I said this already but it’s worth mentioning again. I see too many small business owners that are so anxious to get clients that they forget all about adding value and only send promotions in hopes that someone will need what they have to offer at that exact moment. Remember that the idea with email marketing is to stay top of mind – it’s not to beat them over the head with requests for their business. Being Afraid of Sending Too Many Emails – I often times talk to people who are afraid to send more than one email a month for fear of losing subscribers. You certainly don’t want to flood your subscriber’s inbox every day, but sending weekly or at the very lease, bi-weekly emails is a recommended frequency to stay top of mind. The caveat is that the emails must provide great value to the reader if you want to keep them from unsubscribing. Not Segmenting Your List – We have two separate email newsletters for the cleaning industry. One is for commercial cleaning companies and one is for residential cleaning companies. Although there are some topics that we share with both groups, there are many others that only apply to their type of business since they serve two completely different target markets. 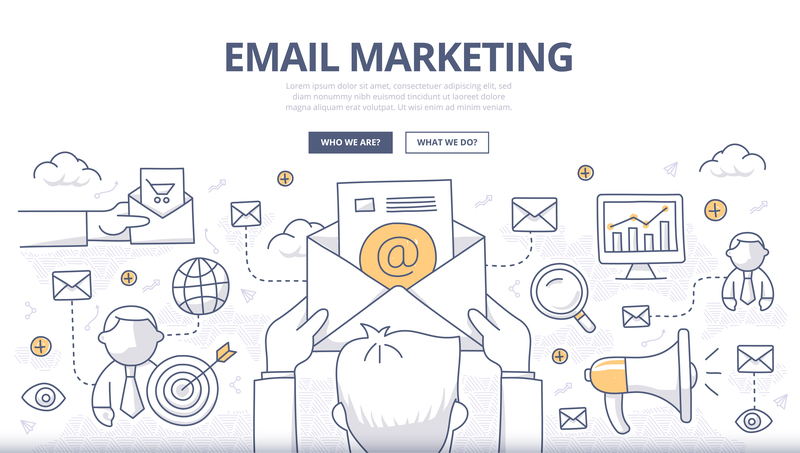 If you can effectively create amazing email content that provides value, while avoiding the common mistakes, you are going to see just how effective email marketing can be for lead conversion.